TORONTO – As this week’s April showers will attest, the competitive spring market is upon us once again here in the GTA. 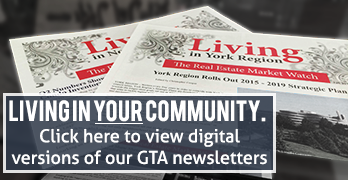 This month, GTA Real Estate News is here to help, as we go back to basics with a look at the mail drop – a method of real estate marketing that is not only time-honoured, but still widely popular, even in the era of smart phones and digital advertising. 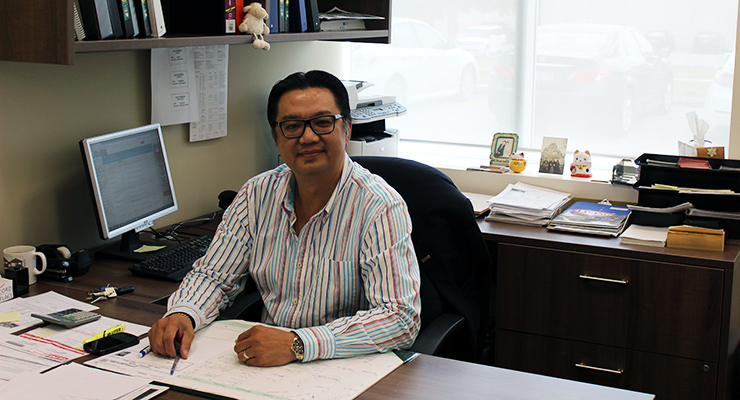 David Wong, manager of Living Realty’s Woodbine Branch, recommends advertising by mail for any agent – regardless of experience level – as a way to show your seriousness as an agent, by investing in your own success and reputation. Mail advertising should be community-specific. While any agent could theoretically spend a surplus of cash on sending mail drops out over a broad region, Wong explains that it is usually far more effective to focus your efforts on a specific area. This allows you to create materials that focus on the area – which, in turn, may increase your reputation as an expert in what the neighbourhood has to offer. Have listings in the area? Feature them in your mailed advertisements. Printing space can be precious on a flyer or brochure designed for mail distribution, but Wong says it’s always worth it to include a handful of your listings within the neighbourhood that you’re targeting. This offers two potential payoffs. Firstly, demonstrating that you actually have local listings may prove to your readers that you are already active in the neighbourhood – and not just going after their business. Secondly, mail drop recipients (usually sellers) have been known, in Wong’s experience, to share the material with friends and family who are interested in moving to the area – which might send a lead or two in your direction. Play by the RECO rules. Including helpful information such as disclaimers, or your full business contact information, is certainly an effective practice for any type of advertising. For real estate sales representatives, however, many of these details are actually required under advertising guidelines set out by the Real Estate Commission of Ontario – the regulatory body that oversees realtor activity across the province. A mistake as simple as forgetting to identify your brokerage, for example, could result in a fine – so review your literature multiple times before it goes out. RECO provides a helpful compliance checklist, and if you’re ever in doubt, you can always check with your branch manager or broker of record. Include links to your web site and social media properties. If you have a web site, including its URL address on your print advertisements should be a no-brainer – it allows your readers to access valuable tools, such as virtual listings tours and mortgage calculators, which obviously cannot be replicated on paper. If you are active on social media such as Facebook, Twitter, or LinkedIn, it’s a good idea to include your page names for those sites as well. Growing your networks can be tough, so don’t miss a valuable opportunity to potentially pick up some new followers – you may be surprised at how tech-savvy many homeowners are! Save yourself a design headache – build off a template. Unless you moonlight as a graphic design expert, it’s probably not worthwhile for you to design your own print flyers – especially when you’ve got listings to focus on. Luckily, most print shops offer a selection of pre-designed templates from which you can pick and choose. All you need to do, after selecting one, is send them your details, headshot, and any necessary logos, as well as the info for any listings you’d like to include. If you don’t already have a printer picked out, you should be able to ask your branch manager, broker of record, or even colleagues who are heavy advertisers, for a recommendation. If the printer already does business with your brokerage, you may not even have to send the logo and branch contact details – which saves you a step and a little bit of time. Some brokerages may have pre-existing bulk-print contracts that could also cut down on your costs. Our Real Estate Careers series offers key advice and information for new and aspiring real estate professionals in the GTA. If you’re looking for more advice on kick-starting your own real estate career, please contact one of our Living Realty branch managers today and we’ll be happy to arrange a one-on-one meeting with you.